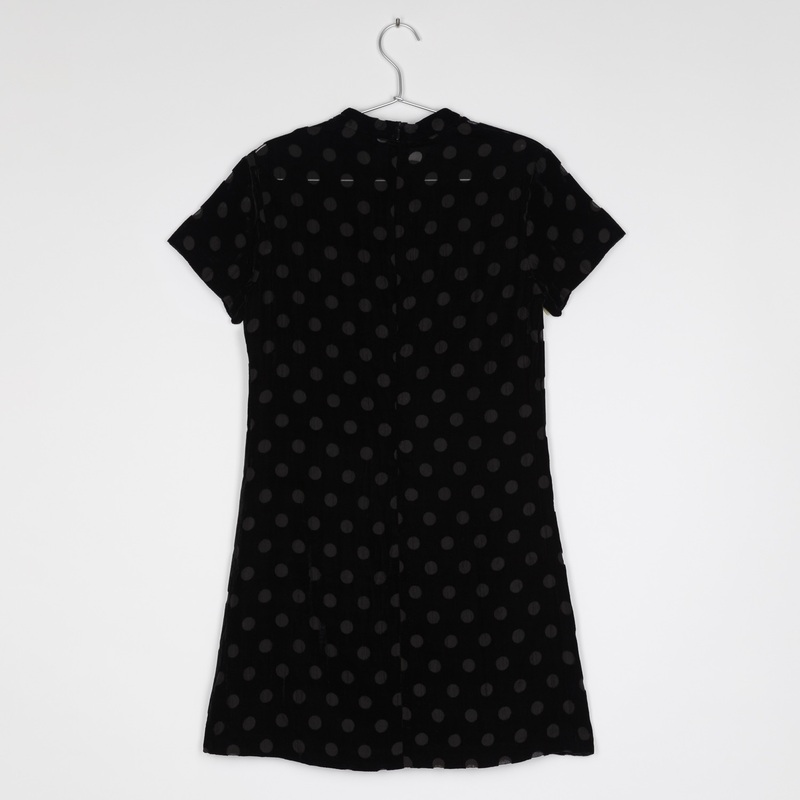 Unique black velvet short-sleeved dress in a soft handle polka dot devoré fabrication. 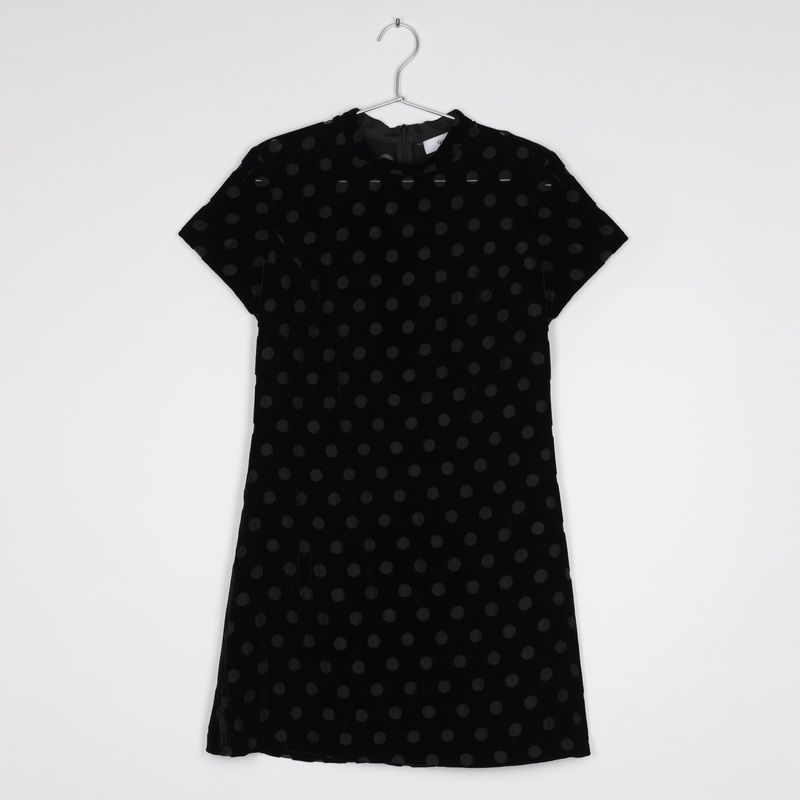 A quirky modern version of the little black dress, timeless piece for the wardrobe. Effortlessly chic! Invisible zip at back. Model is 174cm and is wearing size XS. 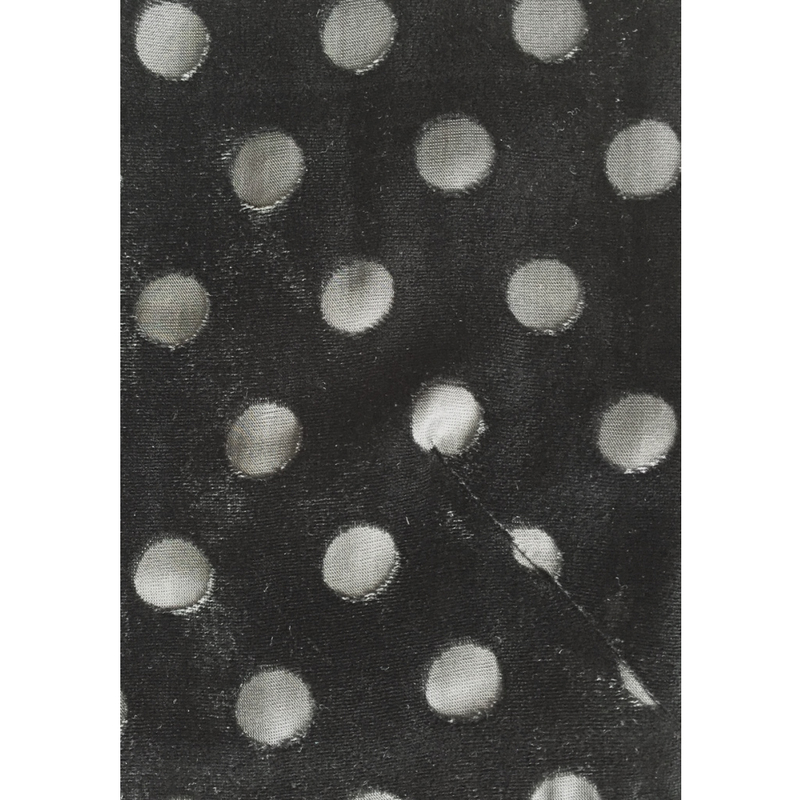 Shell: 86% Viscose, 14% Silk. Lining: 100% Polyester.